There is a reason why men prefer a pilot watch instead of a standard watch. 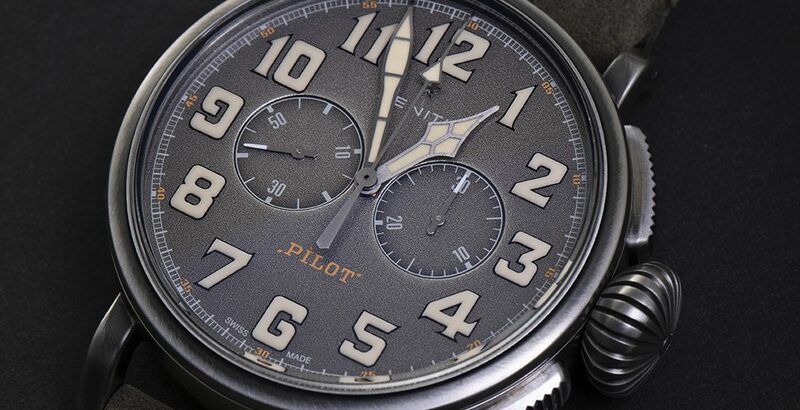 The pilot watches represent an era bygone where men were at war. They were made during World War II for pilots. The main difference between a pilot watch and a standard watch is that it has a larger dial with a simple design which enables the person wearing it to have a quick glance and see the time. The pilots used to wear the larger wrist band as they had their jackets on and used to wear gloves. The larger crown enabled them to easily check the time. The watches had additional features as well such as a chronograph and even navigation tools to easily return home and the capability to check the fuel as well as the speed. These days, Pilot Watches are worn by both men and women. They are great for travelling. As the cockpits have advanced due to technology, the watches sport a more minimalistic design. The design these days come in various types from simple designs to more luxurious ones. Pilot watches are meant to give elegance to your wrists. No matter where you go, they are great accessories. With so many options to choose from, there is a perfect pilot watch for everyone. Due to technology, the watches have many features and are designed with amazing precision. Besides Rolex, there are many other brands to choose from which provide an abundance of choice to customers. It is available in others colors including khaki. It is beautiful luxurious watch for men, which is minimal yet extravagant. The watch is created with precision in mind. The casing is shaped in such a way that it is stylish. It is one of the most popular designs as it is strong and shock resistant. Casio has truly designed the watch with great precision and expertise. It is truly a gem with its masculine design, which looks good on both men and women alike. The new Casio G Shock has many new features such as Bluetooth, GPS and can even be paired with a Smartphone. It is one of the most authentic pilot watches out there. Zenith is a Swiss watch maker which provides the iconic design and colors of an era gone by. The Zenith pilot watch comes in many redesigned colors such as green and brown. The watch is made in a way that has created a simple dial which is easy to read and has retro features. If you are looking for the ultimate watch for your next travel getaway or are looking to impress your friends with your new buy, then try out the pilot watch now. There are many options to choose from. Pilot watches are designed in way to make the most out of your wrists and help you give you that masculine look you might be looking for.